Heavy-Duty Pusher Shovel for Sale in Salem, MA | BRAKE & CLUTCH INC.
Stay armed this winter season with the new FISHER Heavy-Duty Snow Pusher shovels. 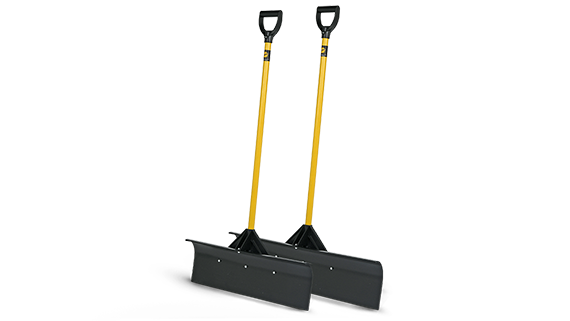 Constructed from rugged polyethylene with a reinforced bracket and handle, these lightweight pusher shovels are built to stand up against relentless winter weather in Salem — month after month, year after year. Blade Dimensions 30" x 9.25" 36"x9.25"
Overall Shovel Dimensions 30" x 54" 36"x54"